Click here for sound clips! The lessons we learn from our teachers often last a lifetime. Written by Erin Stroup, this jazz waltz was composed in honor of the great saxophonist, Tim Price, who was one of Stroup’s early teachers. Though the title is obviously a play on words, using Price’s name, it’s also accurately dubbed, considering the value of the lessons he taught Stroup. It’s hard to imagine a place in America more simplistic than Lancaster County, Pennsylvania. Characterized by miles of rolling hills, bespeckled with aging silos, and the horse-drawn tradition of the Amish culture, it’s definitely a place reminiscent of the mellow days of childhood. This summer we took a trip to Lancaster with our kids (Ashley, Juliet and Aidan) and their cousins (Maddie, Christian, and Seán), where this tune was inspired by the image of the 6-kid crew, happily munching on old fashioned candy sticks, without much more than the sweetness of the moment on their minds. Everybody loves cookin’ up a fast tune, especially when it’s served right. This Horace Silver standard – featuring “Chef” Frank DiBussolo on guitar – was selected for its fine use of pure jazz ingredients. It gives us a chance to wail, and we love that! This song came to fruition almost instantly the night my 2-year-old son was hospitalized with an asthma attack. It was early evening when my wife and I brought him to the emergency room, and I had a big gig I had to get to that night. I stayed with him for several hours while they did x-rays and hooked his frightened little face to the breathing treatment, but at the last possible moment when I turned with lead feet to leave, he anxiously stretched out his arms for me. As I hugged him, he rested his tear-stained face on my shoulder and said, “Daddy…wipe my cry.” Needless to say, the request weighed heavily on my mind the whole night and ever after, driving me to write this rock ballad which reminds us to never forget the important things in life - our families. The reprise edition. Who could have guessed that a simple, 12-bar blues would become so popular? Boogaloo Sub was featured on our first CD, Road to Wailea, when this whole experience was fairly new. It was well-received, and just as with people, age has added character and depth to what was once very little more than a simple ditty written about an odd character I met in a wedding band. It has evolved; thus, it seems fitting to include the new edition on this CD, now featuring Bob Mintzer and Stroup on sax. This Tim Price original was inspired by the mystical allure of John Coltrane’s Impressions. The modal texture of this aggressive, fast paced tune allows Bob Mintzer to take us on an explosive melodic adventure, propelled by the rhythmic section’s hard driving swing. There is no great motivation behind the inclusion of this gorgeous classic on the CD, other than its beauty. I love this tune – I wish I wrote it! One night, after accidentally announcing to an audience that John is originally from Tennessee, when he is actually a native of Kentucky, I wrote this tune, loosely based on Stephen Foster’s, My Old Kentucky Home, to help me keep it straight. Written for his infant daughter, Logan Elizabeth, Sweetie Pie is Stroup’s New Orleans second-line groove, inspired by his euphoric feelings about his little girl and the love he feels for his family. Titled after his nickname for the baby, Sweetie Pie shares all the spunky, happy charisma that has been so evident in little Logan’s personality from the start. Throughout time, the righteous people of the world have worked tirelessly, earning any success through honest labor and dedication, yet have remained vulnerable to thieves and pirates – self-indulgent crooks, heartlessly unaffected by grave injustices committed against their innocent victims. 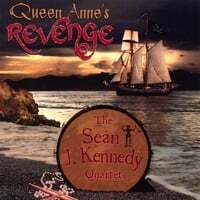 Among the filthiest of pirates in history stands Blackbeard, a grotesque plunderer with an insatiable appetite for misbegotten treasure, who ravaged the Caribbean waters in the early-eighteenth century on his stolen ship, Queen Anne’s Revenge. While this piece is not specifically about Blackbeard, and such parrot-toting swashbucklers of yore, it is the barbaric insensitivity of that lot, and the turbulent battles that ensued between good and evil, which inspired its foundation. The pirate theme is a metaphor, representing the camouflaged pirates we encounter on a daily basis, who slash and slice at our self-worth, belittling our successes, in an attempt to steal our good fortunes. They board our minds, striving to overpower us with their negative attitudes, as we thrash about in the sea of life, struggling to persevere. The two drum sets and arsenal of percussion instruments are not representative of the battle between good and evil; rather, they signify the intensity of the waves in the tumultuous sea. Turkish scales and rock motifs are used in a jazz context to provide mystery. Just as Blackbeard’s origin remains unknown, often times, attacks on our personal value seem to come from nowhere. Though much of the tune is dark and heavy, it is also triumphant for those who persist and hold tight to their faith. The SJK4 would like to thank the following people for making this CD possible: Heather High Kennedy, Ashley, Juliet and Aidan Kennedy, Megan and Logan Stroup, Nate Benbow, Kevin Cotellese, Liberty DeVitto, Frank DiBussolo, Lori Donovan, Adam Freedman, Bryan Graber, Jaime High, Jim and Mary High, David Horowitz, John and Rosemary Kennedy, Mike Lederer, Jennifer Link, Dan McKinney, Bob Mintzer, Donald Nally, Katie, Brian, Maddie, Christian, and Seán Reilly, Tim Price, Carl Snyder, Jim Verdeur, Anthony Viscounte, Michael Vosbein, Steve Weiss Music, our students, families, friends and fans! release party for QUEEN ANNE'S REVENGE! !